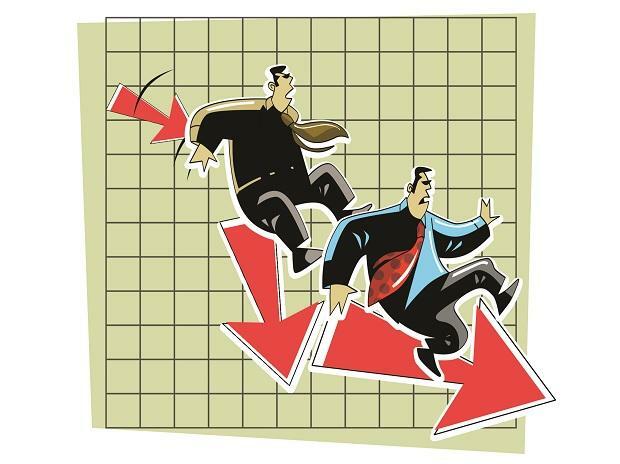 Siti Networks, IL&FS Transportation Networks, HEG and Gruh Finance are among 19 stocks from the S&P BSE Allcap index which have fallen more than 30 per cent in January 2019. Shares of Dewan Housing Finance Corporation (DHFL), Zee Media Corporation, Dish TV India, Siti Networks, HEG, Gruh Finance and IL&FS Transportation Networks (ITNL) are among 19 stocks from the S&P BSE Allcap index which have fallen more than 30 per cent in January 2019. DHFL tanked 20 per cent to Rs 130, its lowest level since May 15, 2014 on the BSE in intra-day trade on Thursday, after a media report suggested that the ministry of corporate affairs will probe allegations against the housing finance company. In January, the stock of housing finance company plunged 48 per cent from level of Rs 249 on December 31, 2018. The media outlet Cobrapost on Tuesday alleged the DHFL had diverted loans worth Rs 31,000 crore — a charge the company termed “mischievous”. The Ministry of Corporate Affairs (MCA) has taken a "very serious note" of allegations of financial mismanagement against DHFL, a government source with direct knowledge of the matter told Reuters on Wednesday. Essel Group three companies – Siti Networks, Zee Media Corporation and Dish TV India – were down in the range of 38 per cent to 42 per cent. Last week, the media reported that a link has emerged between Essel Group and a company being probed for suspect demonetisation deposits. Dish TV on Tuesday said its promoter stake had fallen to 59.1 per cent from 60.83 per cent after pledged shares were invoked on Friday. The company, however, said that media reports alleging involvement of Essel Group entities is being done only with malicious intent and legal action as advised and appropriate are being initiated by Essel Group in this regard. Prabhat Dairy hit a record low of Rs 57.20 on Monday, January 28, plunged 34 per cent during the month. The stock nearly halved from intra-day high level of Rs 112 on January 22, as investors worried about the utilisation of transaction proceeds. The company had announced that global dairy major Lactalis will buy its milk business for Rs 1,700 crore. The stock was continued under pressure despite Prabhat Dairy clarified that the company intends to share a substantial portion of the proceeds from the sale with shareholders after meeting tax and transaction cost. The company will evaluate all potential options available to return capital to shareholders in the most optimal manner, subject to applicable laws and requisite approvals, after closing of the transaction. The proceeds refer to all proceeds to be received as part of the transaction by the Company as well as its subsidiaries, including those receivable by Cheese Land Agro (India) Private Limited, which is a 100 per cent subsidiary of the Company, it added.